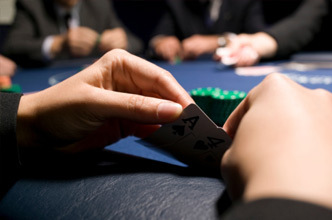 Blackjack tournaments become more and more popular of late. They are considered to be the real entertainment show, with celebrity guests and TV-star hosts - provide the unpredictable and amusing scenarios, wealthy setting and lots of positive emotions. Day by day the blackjack tournament audience constantly grows. Blackjack no more just a card game, now it's a lifestyle no doubt. The Blackjack tournaments possess the incomparable excitement of PvP gameplay. Unlike the player against house opposition the PvP format is much more entertaining, unpredictable and variable. American television channels provide the audience with high-quality product each season and the spectators respond in kind - ensure the show success and high TV-ratings. There is nothing like the Live broadcast of blackjack tournament performance for a real game enthusiast to watch and enjoy. Be sure to see the most legendary and respected blackjack players on your TV screens and they will perform the best of this game for sure. Without a doubt the list of the most popular blackjack tournaments will sound familiar to you even if you are an amateur in gambling activities. The Ultimate Blackjack Tour presents the 30 rounds of unforgettable and breathless show. The high stakes and the heat of the struggle will drive you crazy. Pass on to World Series of Blackjack - the most enjoyable 4 seasons of blackjack-show you've experienced. Matt Vasgersian and Max Rubin will assist you on your way to the higher aerobatics of blackjack. Witness the triumph of the former MIT legend Mike Aponte, support the Ken Einiger way on the top and keep your eyes on the galaxy of other celebrities. If you hunger for real show performed by the Hollywood stars the Celebrity Blackjack tournament is your choice no doubt. Former Beverly Hills 90210 celebs Shannen Doherty and Tori Spelling, The Sopranos series star Jamie-Lynn Discala, rapper Coolio and startling basketball legend Dennis Rodman. At the one blackjack table aired on your TV. Be sure - the 100%-quality entertainment is guaranteed for you. Or you may choose the King of Vegas tournament which possesses the 8 different casino activities for players to perform. The $1 000 000 major prize - can you be indifferent to this fact? Hollywood Dave Stann being among the participants secures the entertainment and fun for sure. At all events you have no other alternative but to watch the best blackjack shows and enjoy the seen much. Remember the big names of blackjack players. Follow their examples and take advantages of their experience. Play blackjack online and skirmish with the greatest of them. Get acquainted with one of the most talented blackjack player ever. Decide on his bio and draw the conclusions from his actions. Familiarize with Stanford Wong - great theorist of 21 game. Explore his works and improve your blackjack online playing thus. MIT Team graduate and high achiever - please make him feel welcome - Mike Aponte. Make use of his tribute and level up your gaming skills with ease. Traditional and stylish: European blackjack variation. Play Pontoon variation via blackjack online resources.